The 6 Foot Series of Nuheat Floor Heat Mats are 120 Volts and available in various widths to meet your needs. All mats in this series are 72" long. Available widths in this series include 24" (F1806), 30" (F1808), 36" (F1809), 42" (F1810), 48" (F1812), 60" (F1815), and 72" (F1818). 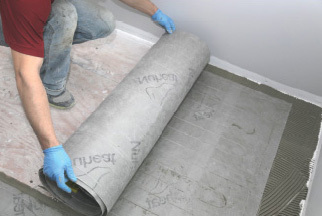 Nuheat floor mats are pre-wired and cannot be cut, but they can be laid in either direction so if the width and length don't match your needs, you can turn it. The entire 120 Volt Nuheat Mat Size Chart includes all of the various sizes including the Dimensions, Ohms, Amps and Watts. Floor Mat Width: Required Choose Options 24" 30" 36" 42" 48" 60" 72"